Go to the screen you want to show (in this case, your desktop), hold down the Ctrl button and then press the Print Screen button. Open up a program such as Paint, hold down Ctrl again and press V. Then save it. 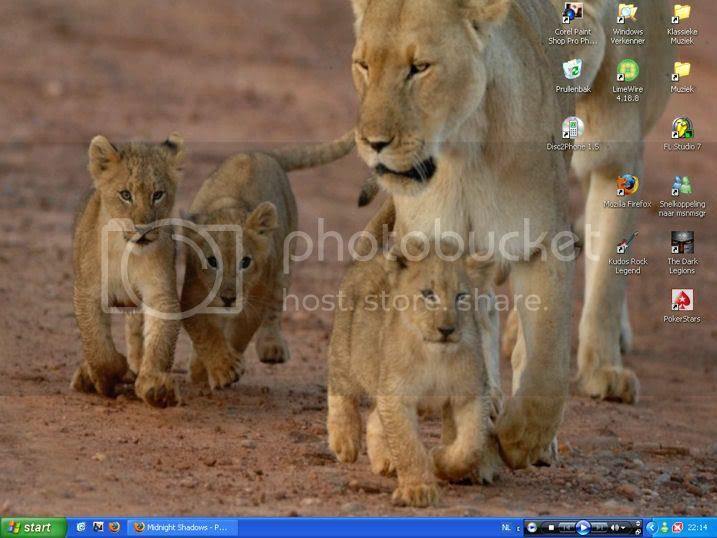 Figured it'd be interesting since (I think so anyways) some of us have pretty nifty desktops and it can show a little bit into our personalities. Some of us may have one we stick with permenentely, others, we may change once in a blue moon while otthers change quite regularly. However often you do it, if you've got one you'd like to share, go ahead and show it off! Mine: Spreading the Repo! love! I did my first official Print Screen. I'm that much of a noob. Anyways, here's mine. Background was taken off a blogskin, so credits to the designer! For our Mac using friends out there (and I know there's quite a few of you out there! 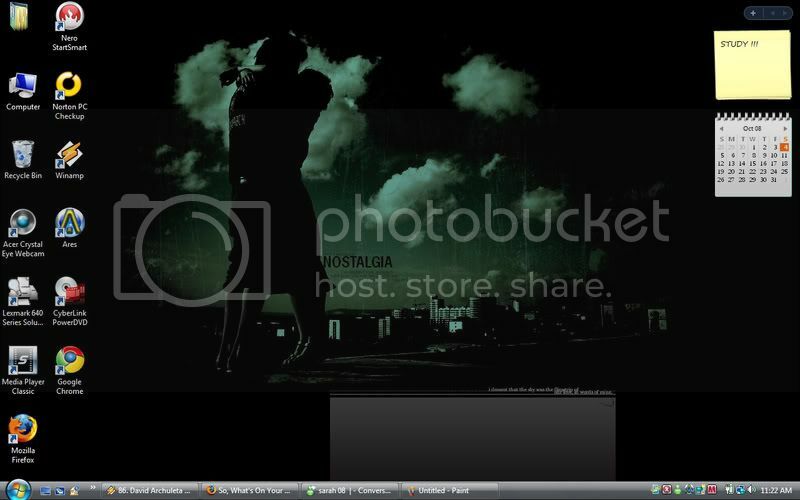 ), it's Cmd + Shift + 3 and that will go ahead and create a PNG file for you on your desktop that you can upload directly. Mine. 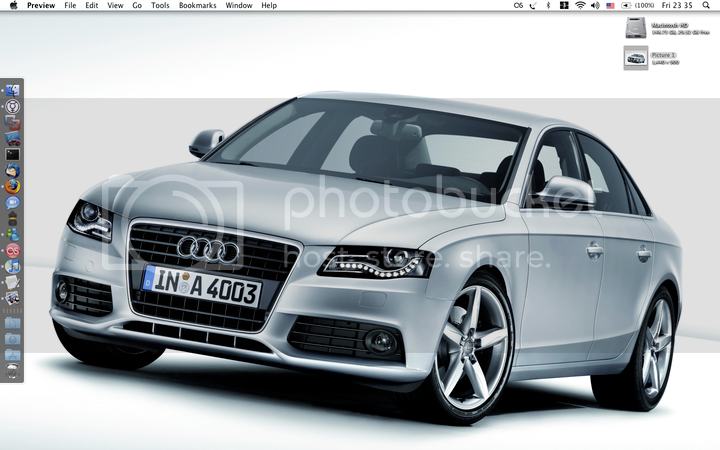 Showing a little love for the 2009 Audi A4. I had the opportunity to drive one of the preproduction US spec models last week. It's awesome. url=http://i159.photobucket.com/albums/t150/analogheretic/Picture2.png]Mine[/url]. Showing a little love for the 2009 Audi A4. I had the opportunity to drive one of the preproduction US spec models last week. It's awesome. I have had this one for a few months now I think. 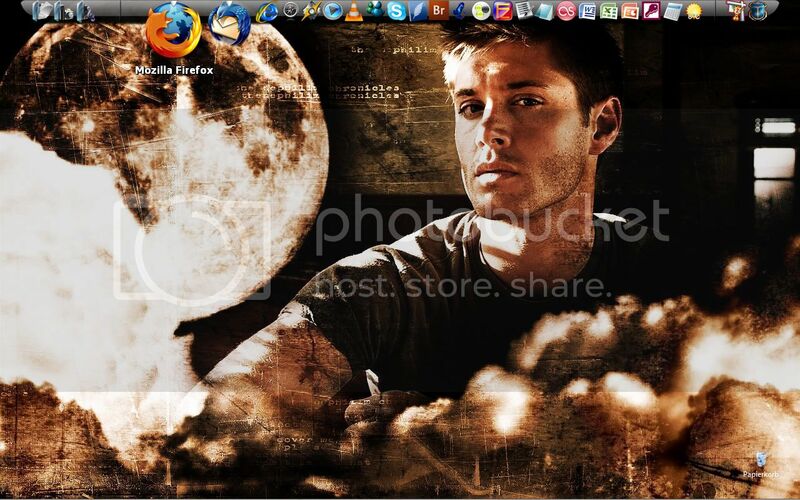 I'm one of those people who change the desktop once every blue moon. Like it isn't obvious enough what my main interest is.. Mine's a little plain here.